(CNN) - U.S. President Barack Obama said Saturday that the United States "should take military action against Syrian targets" over its alleged use of chemical weapons, but added that he will seek congressional authorization for the move. 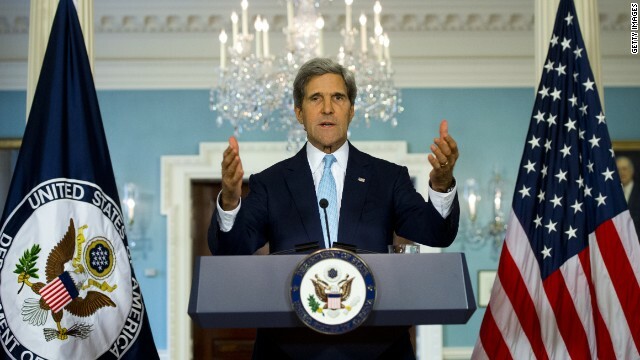 Secretary of State John Kerry joins us to discuss President Obama's response to the situation in Syria. In a televised address from the White House Rose Garden, the president appealed for congressional leaders to consider their responsibilities and values in debating U.S. military action over Syria's alleged chemical weapons use. "Today I'm asking Congress to send a message to the world that we are united as one nation," he said. Democratic Congressman Eliot Engel and Republican Congressman Scott Rigell, weigh in on President Obama's plan to seek authorization from Congress to act in Syria. We'll also have Insight from former Centcom Commander General Anthony Zinni, Middle East analyst Robin Wright and Jeremy Bash, former Chief of Staff to Leon Panetta. A number of members of the President's own party are skeptical about U.S. missile strikes. We'll speak with one of them, Senator Chris Murphy. Plus, from challenges abroad to headaches at home, the President braces for a fall of fights with Congress, including over his signature piece of legislation. Our political panel of Donna Brazil, David Frum, Cornel Belcher and Ross Douthat weighs in on whether Bill Clinton can save Obamacare. Watch us Sunday 9 A.M. Eastern and Pacific. CNN's Tom Watkins contributed to this report. 50 years after Martin Luther King Jr. gave his historic speech – Rep. John Lewis reflects on race in America then and now. See the entire interview here. Sen. Ted Cruz's father, Rafael Cruz, says he "doesn't see him running for president". Commemorating the March on Washington has an especially personal element for Rep. John Lewis: he was an original speaker at the 1963 event. He was chairman of the Student Nonviolence Coordinating Committee, which led sit-ins and demonstrated for civil rights. Fifty years later, he says he hopes young people continue to be inspired by the movement's message, so that when they are his age, "they will feel like they have succeeded, that they have become the best that they can be. "And they will look at an America where the issue of race is gone, that we will lay down - they will lay down the burden of race and we have truly moved toward a multi-cultural, multi-racial, democratic society where no one is left out or left behind because of their race or nationality," he said. While Congressional Republicans meet with their constituents on President Obama’s health reform law, one faced a different question: should the president be impeached? Sen. Tom Coburn, R-Oklahoma, allowed the president was a “personal friend” but said his actions in office were becoming “perilously close” to the standard for impeachment. Former GOP official Carly Fiorina said on CNN’s “State of the Union” she thinks it “foolish” to discuss impeachment. Does the discussion help or hurt Republicans? Watch the video for the full debate, and see below for the panel's views on how Obama is handling Syria. Jim DeMint: "Obamacare is unfair"
Former Democratic Presidential Candidate Howard Dean and former Republican Sen. Jim DeMint weigh in on 2016 politics and Obamacare. Dean: "God Help Us If Ted Cruz Becomes More Than a Senator." Former Democratic Presidential Candidate Howard Dean and former Republican Senator Jim DeMint weigh in on Obamacare and Texas Sen. Ted Cruz. Sen. Ted Cruz: "grassroots tsunami on Obamacare"
Sen. Ted Cruz (R) Texas on defunding Obamacare, GOP politics and whether he will run for the presidency in 2016. A preview of Candy's interview with Congressman John Lewis. Lewis was the youngest keynote speaker on that historic day and the only surviving speaker. He looks back at the March on Washington and what it means 50 years later. Watch more of the interview. 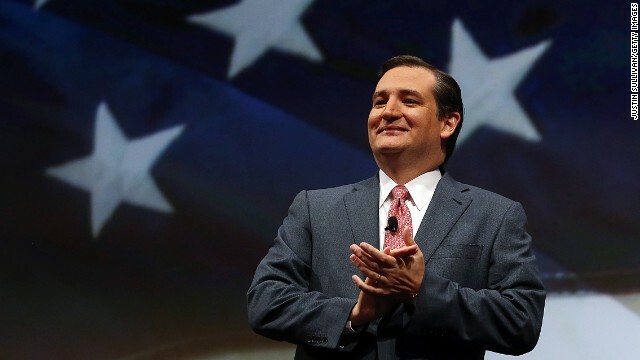 In an exclusive interview, Senator Ted Cruz (R-TX) talks to Candy about the buzz surrounding his potential presidential bid in 2016 and the “grassroots tsunami” he says will bolster support to throw out Obamacare. Then, the president hops on a bus in an effort to shore up the base. He tells CNN the GOP just doesn’t get it. Former Democratic Presidential Candidate Howard Dean and Former Republican Senator Jim DeMint tell us why it all points to 2014 politics. Civil Rights icon Rep. John Lewis (D-GA) reflects on race relations 50 years after he gave a keynote address at the March on Washington. Then, our panel debates the president’s plan, or lack thereof, in Syria and why some republicans keep floating the idea of impeaching him. We’ll talk to CNN Political Commentator Cornell Belcher, New York Times columnist and CNN Political Commentator Ross Douthat, Chairman of Good360 Carly Fiorina, and President & CEO, of The Center for American Progress Neera Tanden. Watch Sunday at 9a & 12p ET.